According to Chartbeat Analytics, only one out of every three clicks on a native ad unit leads to 15 seconds or more of engagement. Users who engage with content for 15 seconds or longer consume 80% or more of the page, according to the same study. This means that 66% of all native advertising spend is wasted if actual content engagement is important – and for content marketers, it should be. According to the Interactive Advertising Bureau (AIB), for every three dollars spent on digital advertising one dollar is lost to fraud. In addition, a study conducted by the Association of National Advertisers concluded that bot click-fraud can represent up to 37% of total publisher impressions. Clearly, the amount of waste in online digital advertising is unacceptable and unsustainable for the long term. This is also, in large part, one of the main reasons Proctor & Gamble eliminated $200 million in digital advertising spend last year – with a plan for eliminating an extra $400 million in agency production costs by 2021. There must be a better way. Two use cases come to mind regarding AI’s use in combating waste, fraud and abuse – analytics and scaled multivariate testing in a dynamic cost per engagement (dCPE) environment (as opposed to impressions or click-based schemes). More on this later. For artificial intelligence (AI) to provide optimum value, in most use cases, it generally needs large quantities of structured and/or unstructured data. The more data provided the more precise it can learn and prescribe and/or predict next actions to the marketer or advertiser. This holds true in both use cases described above. The vast majority of analytics solutions many use today are very one-dimensional in nature, meaning – marketers have access to data from websites up to one degree away. However, innovative companies like DemandJump have integrated AI into its technology which pulls in dozens of structured and unstructured data sources. It does so in order to create a three-dimensional map of a brand’s topical sphere of influence online. This is the equivalent of having access to all of the analytics from the websites that link to a marketers and access to the analytics of every site that links to those. This level of detailed tracking allows brands to identify inefficient and/or nefarious digital advertising neighborhoods. In addition, it helps identify new lucrative advertising opportunities. Many paid media critics point to the impressions and click-based economies of digital advertising as the root of the problem with waste, fraud and abuse. Few would argue this point. So, what if we could eliminate these models in favor of something marketers want – content engagement? inPowered has developed the technology to do just that. It’s AI sits over 35+ native and social supply partners. With the volume of partners, headline and image combinations and targeting, thousands of possible permutations can arise from promoting just a few content assets. It’s these combinations that allow the AI to do multivariate testing at scale. This enables advertisers to quickly find the best combination of the above that are most likely to spend 15 seconds or more with the content post-click. 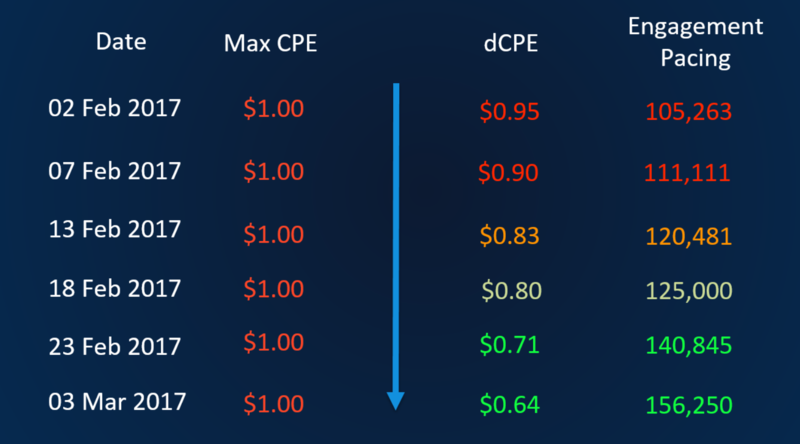 Over time, the machine learning gets smarter and smarter, further reducing the CPE. That’s what makes it dynamic CPE or dCPE. Those savings are reinvested into the top performing permutations, leading to even more engagement and further learnings. With the two AI-driven solutions described above brands like Unilever and P&G no longer have to take drastic measures by pulling out of digital paid media in big ways. Eliminating optimization towards clicks and impressions to focus instead on engagement ensures native and social advertising waste is a thing of the past. Using AI-driven analytics helps to eliminate waste, fraud and abuse with display, sponsorships, influencer advertising and PPC. While many industry folks still complain about digital paid media’s propensity to attract waste, fraud and abuse, it’s beginning to change. As adoption of these technologies grow the complaints will lessen and digital paid media will have the transparency marketers and advertisers demand.